Professional Healthcare jobs are more than ever on the demand now. Spanning from Doctors to Nurses, Physicians, Consultants, and Managers, there are many posts available in professional medical services. Choice of serving the ailing is a noble cause and a difficult career to cater as well. If you’re aiming for a stellar resume for impressing your dream employers, you need thorough preparations and tones of medical resume samples to review. A professional healthcare resume must impress the recruiter and simultaneously outsmart the other applicants. Before drafting a healthcare resume, search for sample resumes that adhere to your expertise. 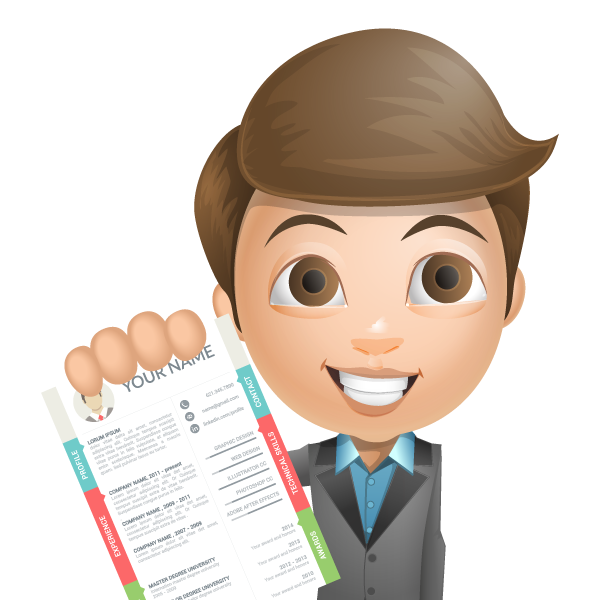 Sample resumes will give you a firsthand idea of what is valid, correct as well as wrong in a resume. The primal step for drafting an ideal healthcare resume that impresses the hiring manager is your organization of skills and achievements relevant to the position offered. Ranging from your professional achievements to meritorious academics as well as crucial decision-making in the past, there are many tweaks impress the recruiter right away! Remember to keep your ideas clear, brief and concise, in addition to keeping it error-free. To etch a professionally qualified healthcare profile in the manager’s mind, start by comparing your achievements with sample medical resumes available online and offline. The title or heading of a healthcare resume must consist of a lucid phrase that proves your value for the position offered. It must surpass other candidates and must be formatted well to catch the complete attention of the hiring manager. The objective of a healthcare resume must be precise, brief and lucid to outsmart the other resumes. Your healthcare resume must list an objective that positions you as the best person fit for the role offered amongst your co-candidates. An ideal resume objective must list your prominent skills with reference to past jobs and as an answer to the recruiter’s need. Writing a strong or bold claim in your summary statement is a tweak to grab the reader’s attention instantly as you can see from medical resume samples. An ideal summary statement for a healthcare resume lists a capsule-version of your professional achievements. In short, the summary statement must explain technical ways on how you add value to the company using your skills achieved in the experience section. This also means that you must not stop editing until your summary statement looks qualifying for the specific job. Considered the backbone of a healthcare resume, experience section judges whether the recruiter continues reading your resume or not, as seen in medical resume samples. An ideal experience section uses well-divided bulleted points that list the relevant experiences with the skills gained from your working experiences in the past. The motive of the experience section is to provide the hiring manager a complete and quick scan of your skills acquired in the past relevant to the post offered. Including your past working experience can be tough. What you need to focus in a professional resume is your work experience in the past 10 years. As medical field undergoes drastic modernization in a decades’ time, anything beyond 10 to15 years is considered futile. You will notice the same in medical resume samples available online. List every employer in the past ten years with a brief description of the financial worth and credibility of the company to impress the hiring manager. If you have important or meritorious achievements that span before 15 years, condense them to highlight the important phrases in this section. The next most important thing to add to a healthcare resume is your creative quotient. From handling high-risk patients to code blue or warzone hospital duties, there are many tweaks to make the recruiter see your bonus potential as you can see in healthcare resume samples. For example, if you’re a hospital volunteer, your account of managing multiple high-risk patients in an offshore hospital or during natural disasters can prove valuable to the post you’re applying for. In professional healthcare, your technical expertise decides the weight of your resume as shown in medical resume samples. It must be better than other candidates and you can do so by listing the bonus skills you are good at, for the position offered. From software and computer knowledge to experience working with high-risk patients or innovating decisions, many skills can add value to a healthcare resume skills section. Adding modern medicinal practices, researches and seminars you have attended, in addition to your expertise in Microsoft Office, Dr Chrono EHR, AdvanceMD, MediTouch, RxNT, and NextGen Healthcare can add bonus points to your healthcare resume. Knowing that you’re an avid user of EMR or Electronic Medical Record System or Patient Monitoring practices give the employer an idea about your aptitude. Remember to specify all the software and modern practices applicable to the post in concise and short points as seen in resume samples. Recruiters scanning through healthcare resumes are looking for medical professionals with high-level technical proficiency. You must list the successes relevant to the responsibilities sought by the employer as you can see from other medical resume samples. As a thumb of rule, recruiters peek through many profiles in a day and you must present captivating feats relevant to the company to get a successful interview. Avoid congesting the accomplishments page by listing your references or recommendation letters in a separate page in the healthcare resume. As you can see from medical resume samples, recruiters want the smartest candidates. The trick to inflate your educational strength is by listing your specializations and interests in subjects useful to the employer. From your distance education in Hospitality Management to Home Science or GPA scores, many educational terminologies can be used to increase the professional worth of your resume. If you have offered pro bono service or social work during your academic training, mention the same and impress the manager in the beginning of this section! Remember to reserve your professional certifications for a separate page. Is your resume tasteless? You might wonder what your taste has got to do with a professional healthcare resume. The taste here refers to the excitement quotient in your resume or career goals. 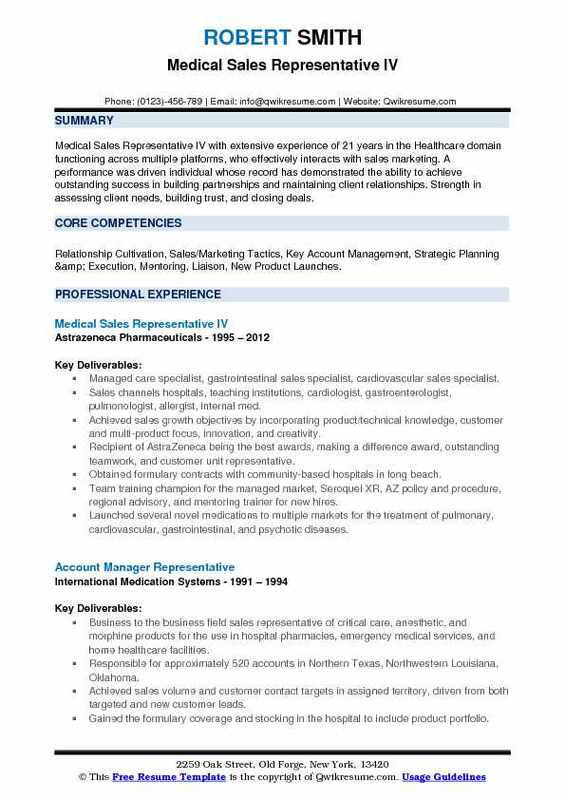 If your healthcare resume consists of generic or run-of-the-mill vocabulary, redo to make it sound unique. How long is your resume? You might wonder if achievements dictate the length of the resume by analyzing resume samples. It is also important that you do not condense important skills to fit a one-page resume! The length of the resume depends on the achievements you possess, applicable to the position offered. Avoid elaborating skills and achievements irrelevant to the job as it tends to make a resume lengthy. As a hiring manager might overlook important skills when presented as a wall of text, break your points into bulleted phrases. How focused is your resume? 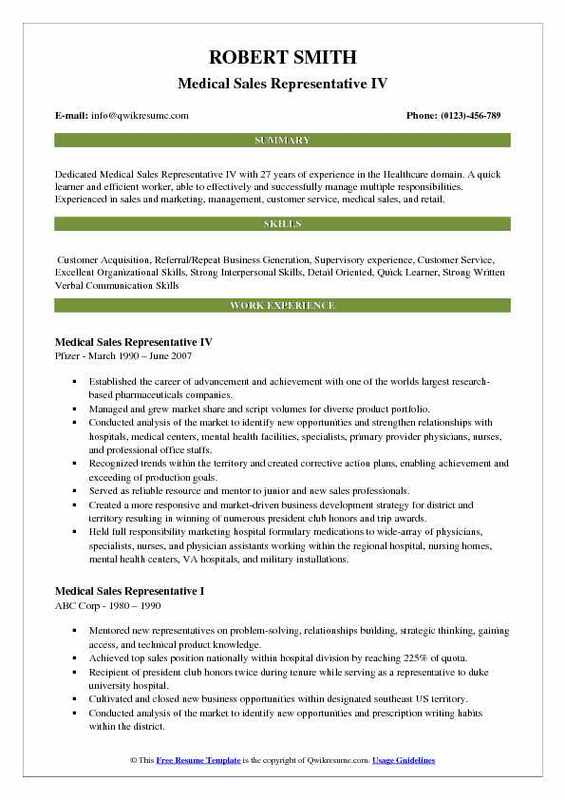 A common mistake among amateurs in the medical field is the format of listing career skills and achievements as seen in medical resume samples. If you target on the professional achievements than individual accolades, the recruiter might doubt your individual technical potential! Include your awards to interests and hobbies in the healthcare resume too. What is the format of your resume? 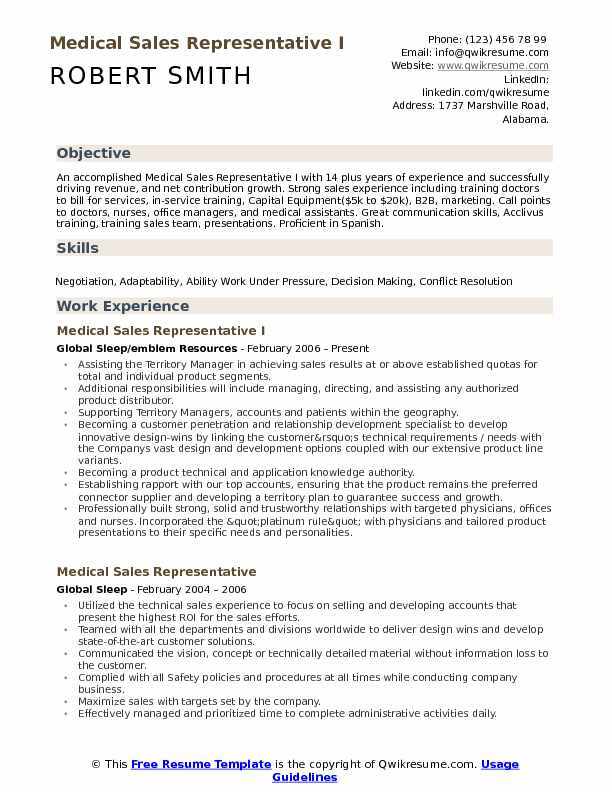 The format of a professional medical resume does not change. You must adhere to a formal tone and style of drafting the resume. Using personalized pronouns in a resume leads to a deduction of the professional value of the candidate. According to the Bureau of Labor Statistics, Healthcare Occupations are expected to provide jobs at an increasing rate of 19% until 2024. Economists claim that the growth of professional healthcare is on the rise more than ever now as seen from medical resume samples. The medical field is growing faster than other jobs and in the coming ages, healthcare reforms are projected to revolutionize our current way of lifestyle. Choosing your resume to renovate and upgrade is a smart choice. Amongst professional healthcare practitioners nursing aides qualify without a degree while surgeon-salary- tier grows with the number of degrees and specializations acquired by the candidate. BLs claims that the annual wages collected by people working in healthcare occupations range from $20,000 to $210,000 every year. Some interesting healthcare professional jobs to . doctor, fitness trainer, nurse, dental hygienist, dietician, physiotherapist, counselor, pharmacists, paramedics, medical transcriptionist and OHS Workers. Drafting a resume that captivates the recruiter right away is difficult as there is not a universal trick to impress anybody. However, one general rule of thumb is that the professional value of healthcare resume doubles with the professional presentation of it. To boost the professionalism emanated by your resume, you must follow one format throughout the CV by referring to medical resume samples. Two traditional formats to use in healthcare resumes are chronological and functional. Chronological resume format refers to outlining of your achievements and skills with a scale of time and Functional format refers to neatly arranging achievements and skills based on its degree of importance. You need a strong and technically sound profile for an interview. Make use of our instructional guidance and healthcare resume samples to draft each part of your professional resume with ease.